Root canal treatment is often required to treat dental pain and infection. We undertake this as an alternative to removing the affected tooth. Healthy teeth have a small amount of soft tissue in the middle called the pulp containing nerves and blood vessels. This tissue extends down the middle of the root or roots of the tooth. This area is called the root canal system. It may help to imagine teeth as being hollow. 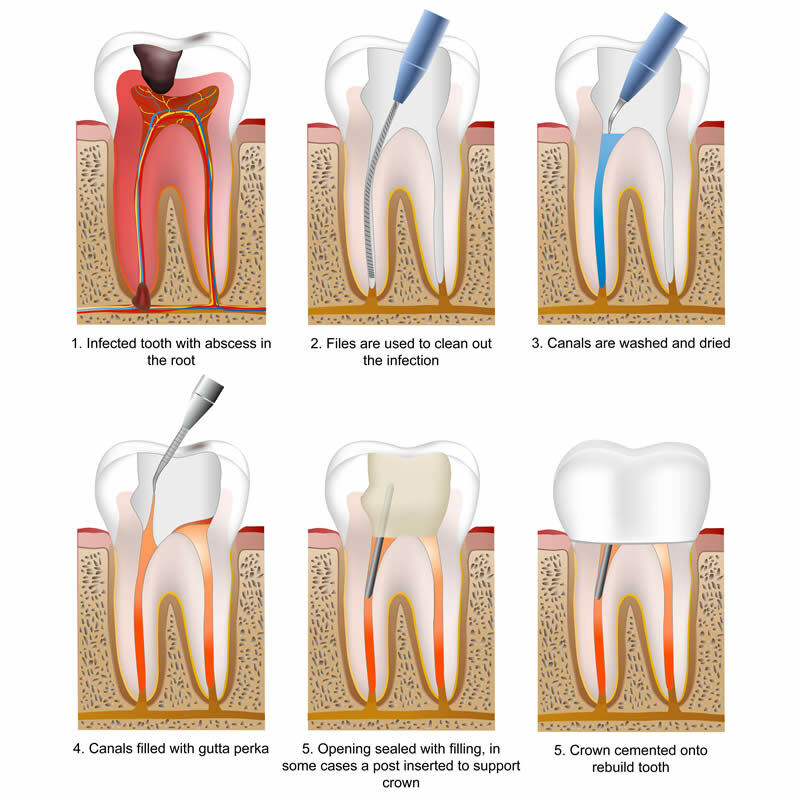 The root canal system may be affected by tooth decay or a crack or trauma. It has a very limited ability to cope with injury or bacterial invasion. If the nerve or pulp is damaged by one of these causes it may die. The result is dental pain/infection. Our root canal treatment in Tunbridge Wells involves completely anaesthetising the tooth and surrounding area. We then access the root canal system and clean the inside of the tooth thoroughly to eliminate any bacteria. We use special files and disinfectant to achieve this. Following this the inside of each canal is sealed with filling material to prevent re-infection. Root treated teeth are more prone to fracture and we often recommend a filling or crown which wraps around the tooth to prevent this.